Why Should Enterprises Choose EventLog Analyzer as Their SIEM Solution? Security Information and Event Management (SIEM) solutions provide enterprises with network security intelligence and real-time monitoring for network devices, systems, and applications. Using SIEM solutions, IT administrators can mitigate sophisticated cyber attacks, identify the root cause of security incidents, monitor user activity, thwart data breaches, and, most importantly, meet regulatory compliance requirements. In this research paper, we’ll discuss the challenges that IT administrators face while managing terabytes of log data to ensure IT security. 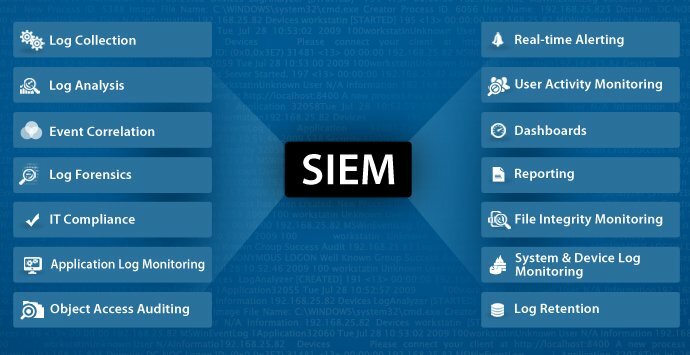 We’ll also discuss 14 critical capabilities common to most SIEM solutions and how the ManageEngine EventLog Analyzer SIEM solution can help enterprises meet their IT security needs effectively. Finally, we’ll list the business benefits an enterprise can gain when it deploys a SIEM solution.